It measures 10x6 inches and is .75 inches deep. 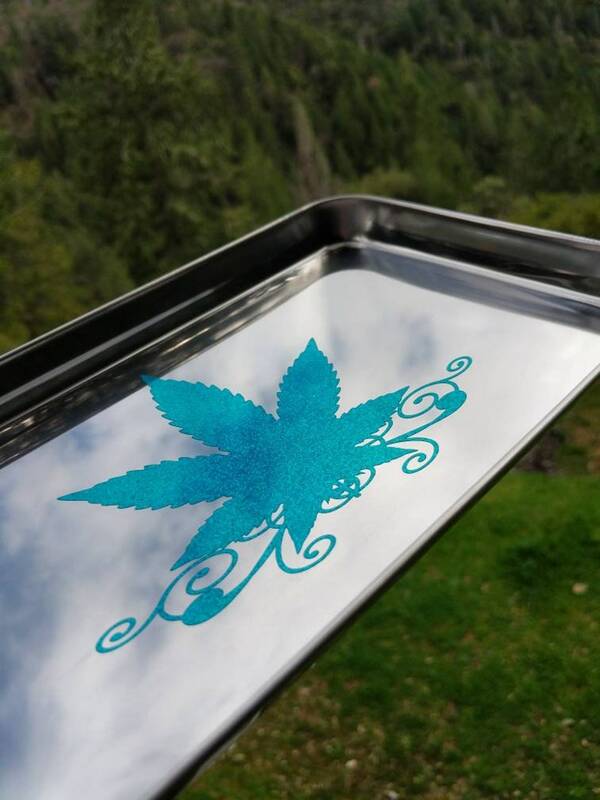 The smooth, curved corners means it makes a nice tool as part of your rolling tray kit or use it for a decoration and catch-all tray. Weighing 161 grams, it's sturdiness allows multiple items to be carried, especially the complimentary designed jars also available through my shop! 2 jars plus tools are easily carried without bending the tray. Designed by Pretty Trippy Shop.